Celtic cross brooch is crafted as a gold plated shield and features inlaid stones as the arms. 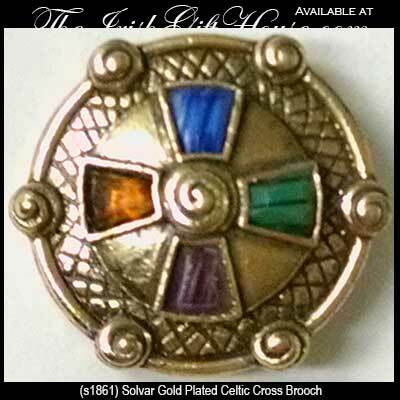 This Celtic cross brooch features an antique gold plated finish and is set with multi colored stones. The plated Irish brooch is gift boxed with a Celtic cross history card that is compliments of The Irish Gift House.